This view south from Melrose, c. 1850, was considered for New York at Its Core. It captures the rural character of the region, but lacks the social and economic detail of View of Melrose. Lithograph issued by John L. Magee. View from South Melrose. After Robert Elton, c. 1850. 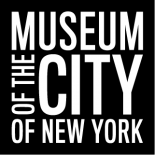 Museum of the City of New York, 29.100.3485. Ursuline Convent, by the same artist as View of Melrose. The row of newly planted evergreens can be seen in the foreground of both images. Lithograph issued by George Schlegel. Ursuline Convent, East Morrisania. Edward Valois, c. 1868. Museum of the City of New York, 29.100.3486. Blog post by BJ Lillis, Project Assistant New York At Its Core Exhibition. Edward Valois was born in Rastatt, Baden 11 July 1820. This entry was posted on May 31, 2016 by Ryan Mattimore in Exhibitions, Maps, Photography Collection, Print Collection and tagged Bronx, Jeff Liao, Melrose, New York at Its Core, Ursuline Convent.